Garfield Re-2 School District voters will be asked to support a $4.9 million mill levy override proposal to create a more competitive salary schedule for the district and a $5.7 million bond measure to construct eight additional classrooms at Cactus Valley and Highland Elementary schools. Voters in the Garfield School District Re-2 are being asked this fall whether or not to approve a mill levy override and bond initiative to help support two initiatives in the 10-school district that takes in New Castle, Silt and Rifle. 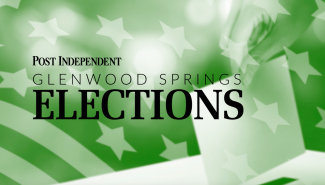 Looking to gain voter support for the two ballot questions, Katie Mackley, representing the “Yes on 4A & 4B” committee, sat down with the Post Independent last week, stating that while the district has done a good job despite diminished funding, it is reaching a breaking point. The state has withheld more than $36 million from the Re-2 school district the past seven years due to statewide budget stabilization efforts, according to material put together by the committee. “[Re-2] is the only district in our area that has not passed a mill levy override in those years to pay teachers more,” Mackley added. 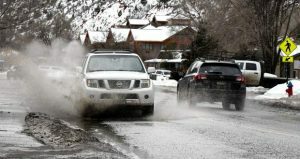 She said the mill levy override would bring the district up to par with the Grand Valley School District and the Roaring Fork School District in terms of salary schedule. 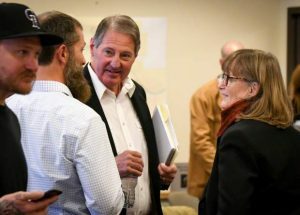 “On average, Re-2 teachers make about $10,000 less than teachers working in Grand Valley and $6,000-$7,000 from the Roaring Fork School District,” she said. The district is turning over about 20 percent of its staff every two years, according to Mackley, because they have been unable to pay teachers enough. 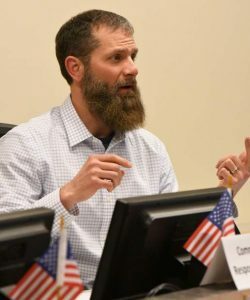 The mill levy override would increase pay for teachers and other noncertified employees in the district but would not impact the superintendent’s salary. The superintendent is on a separate contract, Mackley explained. For the second Re-2 ballot question, 4B, Mackley said the district’s citizen task force, made up of various community members, advised the board to just ask for what is needed right now. “We really listened to that and decided to focus the mill levy override for teacher salaries to make us competitive, and that we will only build these classrooms,” she explained. 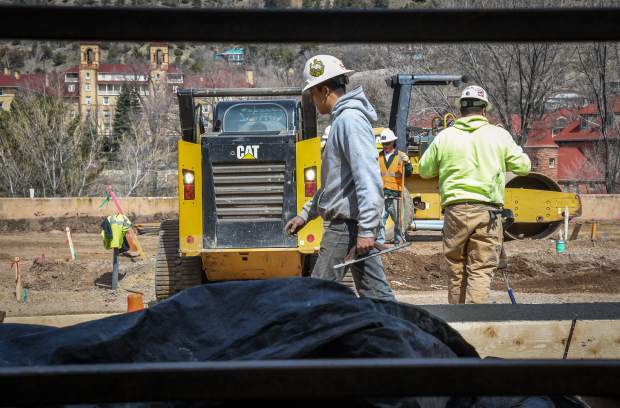 The bond issue would be used to construct additional classrooms at Cactus Valley Elementary School in Silt and Highland Elementary School in Rifle, but will not be used for a CTE center or employee housing, as originally discussed by school district representatives. The estimated tax impact of the mill levy override and bond together is $4.01 per month per $100,000 of a home’s actual value, according to Mackley. “My guess is most people have had kids or grand kids in school and, though you are not using these services directly, it is for the greater good,” she explained, when asked why residents in the district should vote in favor, whether they have kids in the schools, or not. “Somebody paid for you to go school, for your kids to go to school … As a society we have decided public education is important, and we are asking for the bare minimum here,” Mackley said. District officials did decide that, if the mill levy override passes, it will be null and void if the statewide Amendment 73 also passes. That measure would increase public school funding across the state; however, there is not a lot of optimism that it will pass, said Mackley. “So we went ahead and put this on the ballot [locally],” she said. Mackley further explained that the goal of the mill levy override is to enable the district to pay teachers more and keep them employed at Re-2, so the district is not constantly turning over teachers, which ends up hurting the students. “If you feel that public education has value in society, then it would make sense to fund this important [measure] to keep schools strong and healthy,” she concluded.